The quilt is made with log cabin blocks. 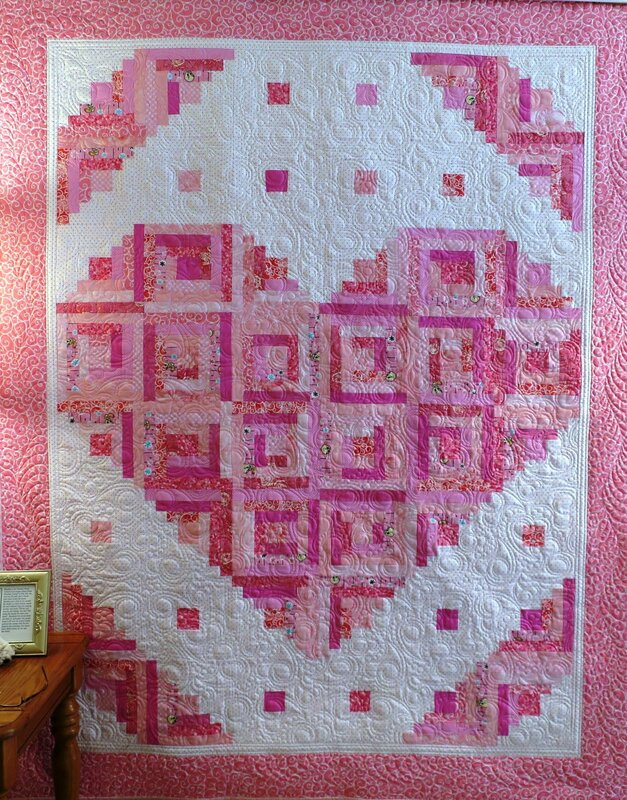 Make three different color combinations to achieve this lovely quilt. Can be made in pinks for a girl or blues for a boy.